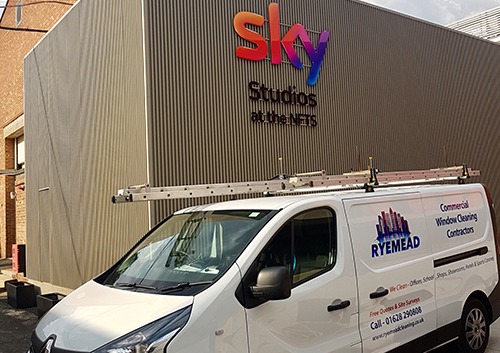 At Ryemead, we are always on the lookout for the best talent that the industry has to offer. In return for your hard work and full commitment, we provide a superb environment for career progression, within an ever growing business. Please see our latest vacancies below and if you fit the profile click ‘apply’! Due to continued growth we are looking for professional window cleaners to join our growing team on a full-time basis. The role of the Commercial Window Cleaner will be to carry out all aspects of Window Cleaning, Gutter Cleaning, Cladding Cleaning, Pressure Washing and Carpet Cleaning. You will also be carrying out cleaning to building structure, architectural features and wall claddings. The successful candidate will be working from multi-sites within an established team. All vans are fitted with state of the art Hot Water Reach and Wash Systems. In return you will receive a competitive salary depending on experience, 28 days paid holiday including bank holidays, full uniform, equipment supplied and a rewarding Christmas Bonus Scheme for all employees based on performance. As a company, we organise regular team building days which are always good fun! If this sounds like you please apply today for immediate consideration.